The Russian-built nuclear power plant is the first in the world to implement post-Fukushima safety enhancement requirements. The two units have a combined capacity of 2000 megawatts. The second unit of the Kudankulam Nuclear Power Plant (KNPP) will reach its full capacity by the end of January 2017, Indian official sources told RIR. The sources say the first unit, which is now undergoing scheduled maintenance, will also reach full capacity this month. The first unit of the Russian designed KNPP started commercial operations in India on Dec. 31, 2014. On May 18, 2016, the loading of reactor fuel into the second unit of the KNPP was successfully completed. “This is the first nuclear power plant in the world where post-Fukushima safety enhancement requirements have been implemented and are being operated successfully,” a source said. Russia's state-run nuclear power corporation, Rosatom, built the KNPP, which is now being operated by the Nuclear Power Corporation of India (NPCIL). Among the key tasks during the designing, construction and operation of KNPP was to preserve the environment, said Natalia Kudryashova, Rosatom Representative in India. It was vital “to ensure that we envisaged state of the art safety features at Kudankulam plant to prevent any contamination of the surrounding area,” she added. Kudryashova said there are several advanced active and passive safety systems, which ensure unprecedented design levels of nuclear and ecological safety of the nuclear power plant. 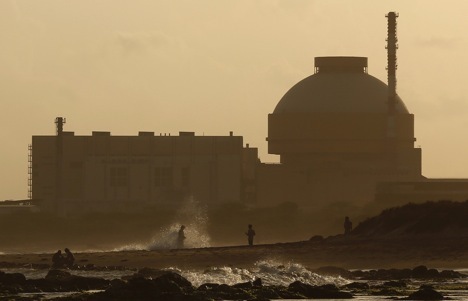 “The unique feature of the Russian designed Water-Water Energetic Reactor (VVER) is a ‘core catcher’ installed at the Kudankulam plant. It helps preserve the integrity of the protective shell and thus prevents radioactive emission in the environment even if a hypothetical accident is severe,” she said. Kudryashova also said that nuclear power is the most sustainable, safe and economically viable source of energy and an eco-friendly way of generating electricity from the viewpoint of prevention of global warming.